Before the advent of college radio in the 1980’s, it felt like there was no alternative to mainstream Top 40 and the rock that eventually would become classic. It took a touch of avant guard to show devotion to little-known musical acts that hadn’t been discovered yet by MTV or any other mainstream media outlets. At the time, you didn’t just buy a band’s music, you bought their whole aesthetic. Being able to say that you liked R.E.M. well before they hit it big was a badge of honor. Liking bands such as The Replacements, Guadalcanal Diary, Camper Van Beethoven, They Might Be Giants, Talking Heads, and Galaxie 500 was a way to reject the mainstream; a way to flip off the conservative frat boy and sorority girl image that permeated college campuses and alienated students in Reagan’s America, much the same way punk and new wave did in the late ’70's after Kent State and Nixon’s resignation. In fact, it was these last few restless years of the Me Decade, way before the nerds started getting their revenge, that paved the way for the power of the ‘80’s alternative music scene, which was fueled by the up and coming insurgence of college radio. It took a bunch of misfits and art kids sprinkled across American college campuses, mixed with a shared love of all things DIY to create the kind of art and music they themselves were inspired by. And just like that, Alternative Culture was officially born. Funny enough, a lot of the bands that were getting airplay on college radio in the ‘80’s seem to be coming out of Athens, Georgia, a sleepy little college town about 70 miles northeast of Atlanta; Pylon, The Method Actors, Dreams So Real, and arguably the most famous of them all, R.E.M. But it was the first of the Athens bands—The B-52’s— that set the stage for what was to come. Though Athens is now famous for two things, having a music scene and UGA’s live bulldog mascot, it wasn’t always that way. In the mid ’70's, the only bands playing in there were cover bands. And the few bars there catered mostly to the fraternity and sorority crowds from the campus. Demographically, it was an interesting mix in Athens at the time because as the Vietnam War came to a close, a slice of the hippie counterculture moved to Athens, settling on the outskirts of town, looking for a simpler life, living out of trailers, shacks and mobile homes, living off the land. Wedged in between a bunch of hippies and the boys of Sigma Delta Tau was a small clan of gender-bending, intellectual, artistic outcasts who wanted to be able to express themselves however they wanted, free from judgement. Everyone thought they were deadbeats or freaks, but they just wanted to dance. It seemed like every American campus around that time had its group of misfits; add in a good art department, angsty creatives, and voilà, you had the makings for some of the most original bands of the time. Rodger Brown, who lived in Athens from 1977 to 1987, was not just part of this group of deadbeats, but he wrote about them in his book Party Out of Bounds. During this time, he explains Athens—for better or worse—was becoming a destination for certain kinds of students, “In-state tuition [was] the only place to go if you want to get out of your house and go to school, because state schools were still free back then,” he says. Many of the people who were forming this tribe of nonconformists were students in UGA’s art program, where professors like Elaine de Kooning and Jim Herbert inspired and challenged their students to be open-minded and creative, and even on occasions, hung out with them. Artist Keith Bennett, remembers, “He had this big front porch on his southern Gothic house, where students would come and go” and credits Herbert for convincing him to talk to Cindy Wilson of The B-52s for the first time. More than 40 years later, they are still married with two children. There was this kind of back and forth between kids in the mid to late ’70's, as discovery was purely analog. They shared images, ideas, music, the inspiration for creativity, and harnessed it right back into their own creative outlets. Back then, it was nothing for people to drive up to New York and bring back records from bands like Television, Patti Smith, Ramones, Roxy Music and the Talking Heads. Jeremy “Jerry” Ayers, an Athens native, friend and mentor to the B-52’s Ricky Wilson, was among the first Athenians to break into the New York City art scene in the early ‘70’s and was a big influence on the art and music scene back in his hometown as well. A fixture in Andy Warhol’s Factory, Ayers was also known as Sylva Thin. He would return to Athens in 1975 and form the band Limbo District, bringing the gritty, edgy, and sometimes fantastical aesthetics and ideas of downtown New York culture back with him. The makeup, hair and salvation army vintage retro style was all part of the expression. 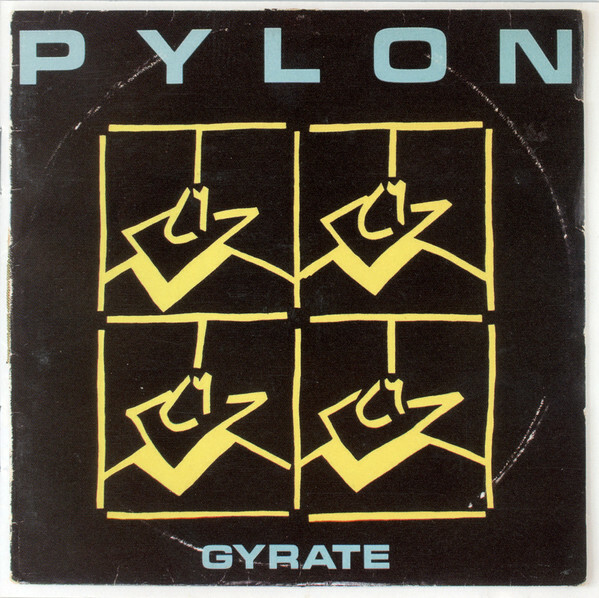 Vanessa Briscoe Hay, lead singer of the band Pylon remembers first coming to Athens. In high school, Hay considered herself a bit of a nerd and she was extremely shy. She didn’t really fit in at her small school in rural Georgia. “I felt like I was dropped from outer space,” she says. Hay got into the art program at UGA and started the summer of 1973. “I was 17 years old and I just finally started meeting people that had interest in things that I was interested in, like reading and art. The kids who lived next door knew about bands like Roxy Music. And I already loved David Bowie for a long time. They were into this Glam kind of look. They spray painted their tennis shoes silver. They put black paper over their windows.” However, as Hay soon discovered, the divide between this growing new wave tribe and the frat kids became even more apparent. So just as all alienated teenagers tend to do, where there was a void, you made something up. In the mid ’70's, more than 20,000 students attended UGA, but Athens didn’t have much of a bar or club scene. Parties happened on campus in the dorms, or at the old houses students were renting while in school. And if you were in a band, the only gigs you got typically were playing at one of these parties. On Valentine’s Day 1977 , a group of about 15 or 20 UGA art students gathered in their most fabulous thrift-store finds at Julia Stimpson and Gray Lippett’s house at the corner of Prince and Millidge Avenues, across the street from the Dunkin’ Donuts’ to listen to The B-52’s play their first show. As the band played, the students danced. Fred Schneider, Kate Pierson, Keith Strickland, Ricky Wilson and Cindy Wilson formed The B-52s less out of a desire to become rich and famous musicians and more because they had been drinking and just wanted to jam. And what these kids all shared was the sense of alienation, the kind that leads to creativity. The B-52’s played just a few parties in Athens, then their first paying gig at the Last Resort. And then that was it. They headed to New York and by 1978, they were playing regular shows at places like Max’s Kansas City and CBGB’s. They soon signed on with Island Records to record their first album. Of course, they would return to Athens to play many times over the years, but their days of being considered a local party band were over, setting the stage for other bands to make their mark on the scene. A lot of people mention that there was something in the water all those years ago in Athens. As Cline puts it, “We all drank the same Kool-Aid.” But over the years, this music and art, born of alienation defined a whole generation of music. It was this free expression, this sense of not belonging that often emancipates creatives to come up with something new. They don’t need to be accepted by status quo, as it rejected them long ago. They live for something else, and misfit kids across campuses were more than happy to spread the word, giving influence to college radio stations all over America. Henceforth, the power of the alternative music scene was born; one awesome t-shirt, poster, or album cover at a time.